Founded in 1964 by Guglielmo Rotta, the brand of the same name is one of the most historic and well-known on the Italian fashion scene. 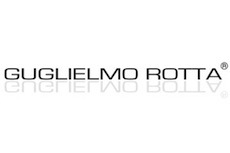 Guglielmo Rotta is synonymous with Made in Italy creativity and manufacturing excellence. The great tradition of Italian craftsmanship can be seen in every single model that makes up each collection: ankle boots, décolleté shoes, lace-up shoes and sandals are expertly created and finished by the best artisan shoemakers. The use of quality materials and careful attention to every detail help create prestigious shoes that have expressed typical Made in Italy originality and uniqueness for over 50 years.